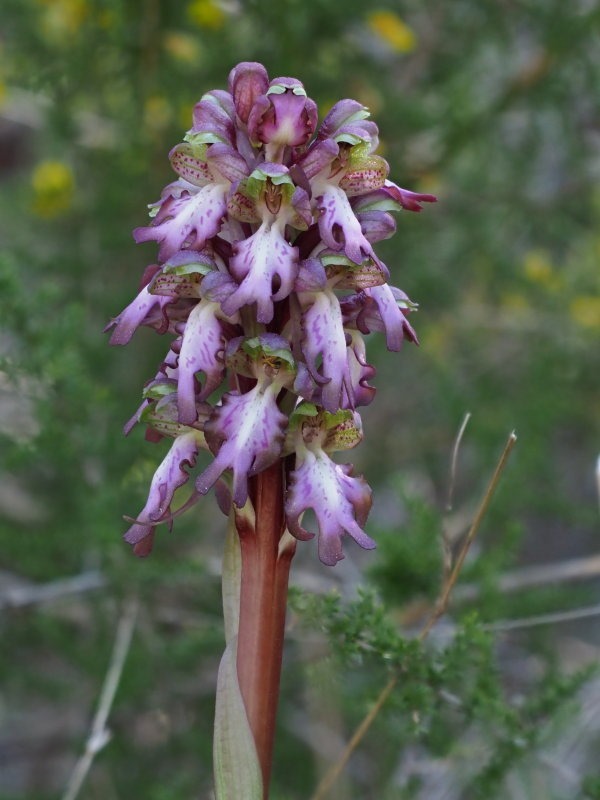 After being presented with a newspaper cutting suggesting that Giant Orchids (Himantoglossum robertianum) were now in bloom in the Valencia region, we thought we should try to find one, since hitherto we’ve seen only rosettes of leaves on our walks. Francine remembered seeing some in a previous year on a walk around the back of Lliber, a small village in the valley close to Jalón. We were decidedly unsure about the route but set off gamely nonetheless. Lliber is a sod to drive through, the whole village sitting between a set of traffic lights which frequently get ignored by swarms of regulation-ignoring cyclists (i.e. most of them), but great to park in, especially when you know how to avoid the main street. We abandoned ship beside the vineyards and set off on foot. Vague memories worked and we were soon on the correct walking route out of town. We made a couple more correct guesses following the route before a wrong one that had us back-tracking a short way to correct our minor mistake. I’ve never been a horticulturist but I’ve been put right off large gaudy cultivated blooms by the delightfully delicate, small wild flowers that I’ve seen following Francine’s botanical guidance. 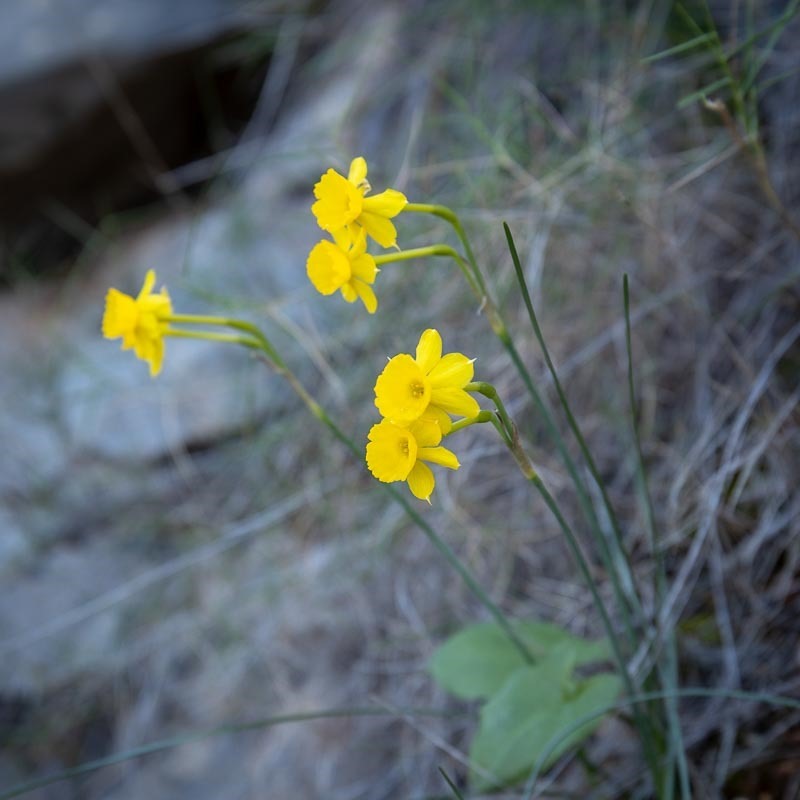 We came across several patches of tiny wild daffodils which can only be described as painfully cute. These little chaps are little more than 1cm across. 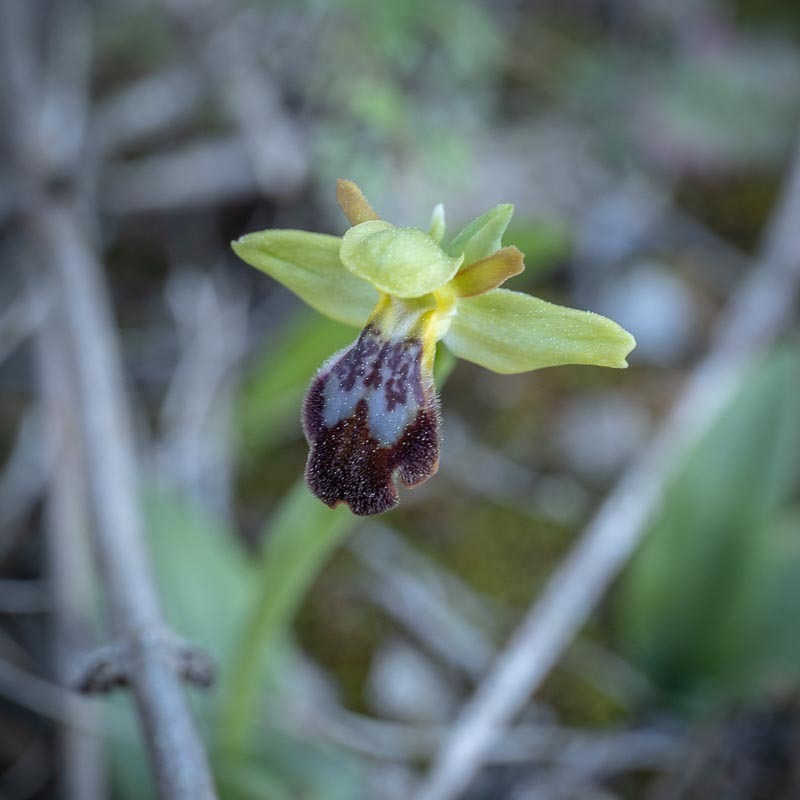 Things looked up on the orchid front as we stumbled across another handful of Dull Ophrys (Ophrys fusca). I still find that common name less than appropriate for such an attractive plant. It was after we’d corrected our wrong turn that the path began looking more like our distant memories of the location for any potential Giant Orchid. As usual, Francine was scanning low down and eventually spotted a rosette of leaves with a flower spike showing, though still more of a bud with no flowers yet formed. As is often the case on the side of a Spanish mountain/hill, there were dry stone bancales forming steps/terracing. Just above where we were initially looking was a more advanced specimen. Lots of clicking ensued. We included a phone snap to send to our friends that had given us the newspaper cutting that initiated our search. How big were the Giants? To me they look like a load of men dangling about…. That spike was probably about 9ins/23cms tall.